You are not failing to Christmas properly. You might be choosing to Christmas or not, or to Christmas more or less than usual, but you are NOT failing. You are not failing if you are missing gifts, or if you are missing people. Or if you have people but are kind of wishing you didn't. Or if you are wondering if you really can spend a whole holiday wanting to cry and surrounded by people who think that President Arms Race is making all the stuff great again. You are not failing if you have given up, and are planning to stay home with Netflix, a few drinks, and the chocolates you forgot to give to your son's teacher on the last day before holidays. You are not failing if you just don't feel the meaning of it. Because they lied to you about what Christmas means. Martha Stewart lied to you about the decor, the stores lied to you about how much anyone likes those stupid shrink wrapped baskets, and Pinterest lied about ABSOLUTELY FREAKING EVERYTHING BECAUSE LYING IS WHAT PINTEREST DOES BEST. The Church lied about when Jesus was born, and a whole BUNCH of people lied about Santa and everybody lies about what a "normal" family looks like. It's not the real story. The real story is about a terrified refugee family huddled in a barn that was all animal poop and noise when they arrived (and was likely not improved in smell or looks by hosting impromptu-childbirth-sans-running-water). There was no scrubbed face of Jesus, no clean and glowing straw bales, and animals in barns do not kneel in tidy rows like that. 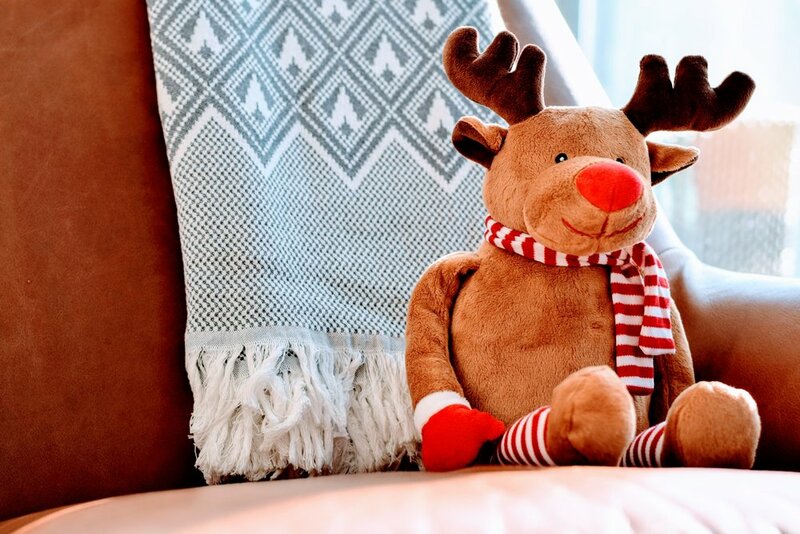 So if you are worried about the cleanliness of your house, try comparing it to the scene of the alleged first Christmas, and think "at least there is not a cow pooping in my living room, and there is virtually no blood at all on the walls or floor". It will put your failing cranberry garland in perspective, as everyone watches it slowly shedding semi-rotted cranberries down the back of Uncle Harold's sweater. As he continues--oblivious--to tell the same joke he tells every flipping year (extra heartily this time, though, because everyone is smiling this year when. Which is nice for Harold, because usually everyone just looks awkwardly at each other. Except the teenagers, who do not have to exchange looks because they have perfected blind-texting "racist, much?" to each other under table). Know that it's okay. You are not failing to Christmas properly because of your decomposing zombie garland. The REAL spirit of Christmas is not the cranberries staying glued together. The REAL spirit of Christmas is Mary hoping that stupid star doesn't get any brighter because there is a placenta on the floor right beside the right shoe of the second royal guy, and she doesn't want him to see it and for THE LOVE OF ALL THAT IS HOLY WHEN WILL THEY GO HOME SO EVERYONE CAN SLEEP. Mary definitely would have been glaring, not smiling, at the allegedly wise men with the impractical gift giving skills. And, side note, whatever you got for person forty three on your nobody-needs-more-stuff-why-are-we-still-doing-this-palooza gift list was not as dumb as gold, frankincense, and myrrh. Who shows up immediately post childbirth without so much as a sandwich and a cold compress. You do not have to love every moment with every guest to be in the spirit of Christmas. You can bet Mary didn't. In the song when the Little Drummer Boy says "shall I play for him" and Mary nods, she was not nodding. The answer to "the baby is being quiet... Shall I start playing the drums, yet?" is NEVER EVER YES. What the Little Drummer Boy mistakenly took for a nod was actually Mary repositioning her weight to try to push a nearby cow OVER ONTO THE WHOLE IDIOTIC LOT OF THEM. That is the REAL spirit of Christmas. Love and hope and family and a baby and also animal poop and dumb gifts and guests overstaying their welcome. Except Christmas doesn't come from Mary and Joseph. At least, not only from them. It isn't like that night was the first one and it just repeated like that on loop until the secularists started saying Happy Holidays and everyone started arguing. Christmas has roots all over. Modern Santa Clause is a mash up of about four different guys, one of which had slaves and stuffed kids in sacks, and kicked them. And don't get me started on the December 25th thing, which actually comes from the Pagans hosting big parties for the return of the sun. And then the Christians arrived and got all "these parties are heathenous evil-doing" uppity. So, the Pagans were all "but we're, uh, celebrating the birth of that Jesus guy..." and so they got to keep solstice. With a little rebranding. Like we kept Santa Clause but did a quick ix-nay on the icking-kay. So the deck the halls and the yule and such comes from the Pagans, and you can bet that the original halls were not decked with anything like the garlands that Martha Stewart has been hand painting since labour day. That is not the spirit of Christmas at all, that is the spirit of Martha Stewart. The spirit of Christmas was "making something pretty out of CRAP WE FOUND IN THE BACK YARD", and coming up with some Jesus-ey sounding stuff so the Christians wouldn't shut the whole thing down. So you are not failing to Christmas properly. The Christmas you're trying to return to never happened. December is not a season of beauty and depth and connection that you have somehow screwed up. Nobody gets that holiday--certainly not consistently. And Christmas is not something you return to anyway, because the only constant of Christmas is that it is constantly getting remade to fit the world of people celebrating it. So maybe the moment when you are overcome with exhaustion and rage and you wish there was a cow in your living room so you could push it over on everyone and go hide under the blankets is not you failing Christmas. Maybe, just maybe, that's your internal Christmas compass telling you what you need to trim and shift and change because Christmas is about making do with what's around you and doing the best you can. Making do with a barn and a family with some heavy paternity questions going on. Making do with a festival that gets kind of jerry-rigged to keep it alive and avoid persecution. Making do with crap from the forest for decorations, and thinking about the sun coming back, and surrounding ourselves with sometimes-loved-ones-but-frankly-not-always. The meaning of Christmas is not about being perfect. Every piece of the story, when you trace it back, is about the opposite of being perfect. It's about something more beautiful, more profound, and decidedly less photogenic. To be human is to be part of a great story of making do. Of changing and learning, and getting together. And you, with your best-I-can-but-not-perfect-efforts, fit right into that story. You are not failing Christmas. You are doing Christmas exactly right.